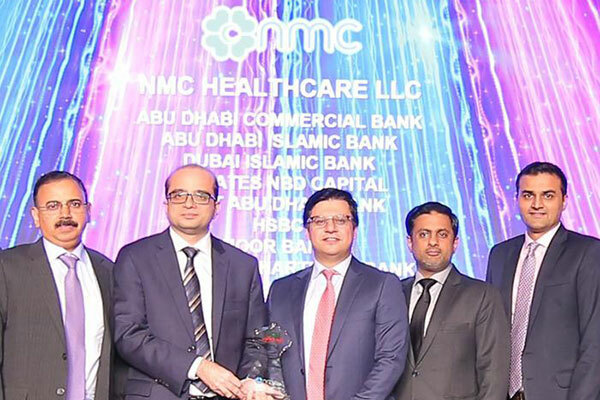 NMC, the largest private healthcare provider in the Middle East, was presented with the ‘UAE Deal of the Year’ award for their five-year $400 million sukuk transaction at the Islamic Finance News (IFN) Awards 2019. At the prestigious IFN Awards 2019 several big names in the industry compete for a range of recognitions which are judged primarily under two categories, the Best Bank Polls, and Deals of the Year. Leading industries across the region were judged based on their contribution to the Islamic debt capital market space.